On October 5, the Moscow City Court started the trial of the former director of the Poltava military factory “Vympel” 73-year-old Yuri Soloshenko. He is accused of “spying” Article (275 of the Criminal Code). Just over a year ago, at the height of the Russian-Ukrainian conflict, when our valiant Pinkertons chasing the stars, and a promotion caught in Russian Ukrainian citizens, Yuriy Danilovich Soloshenko arrived in Moscow from Poltava. He arrived one day on the train. Soloshenko I had an appointment with his long-time partner of the Ministry of Defense of Russia, with whom he has collaborated for many years – until Russia and Ukraine have not quarreled. Their collaboration was regulated by the intergovernmental agreement on the order of transfer of goods of military and technical purpose. Signed an agreement was in 1993, and disavowed – 20 May 2013th, that is, soon after the annexation of the Crimea. The plant in Poltava, who led Soloshenko many years, worked in the defense of the Soviet Union, and after the collapse – the Ukrainian defense, but the old ties have been preserved, Soloshenko supported them and often came to Moscow. Case Ukrainian “spy-pensioner” top secret, like all cases of treason and espionage, and find out the details of the charges as long as the verdict is almost impossible. All participants in this story have to keep a state secret: the accused, lawyers, prosecutors, investigators and relatives. We can assume that Soloshenko detained at the plant in Moscow, where he arrived for a meeting with his longtime partner. Judging by the details of other similar cases, one can easily imagine how it all happened. Soloshenko being taken to the Investigation Committee in Lefortovo. There interrogation. As a grand piano in the bushes, there is a state lawyer. The accusation: spying for Ukraine. Soloshenko supposedly going to “Kamaz” take this country for a large-sized weapon. Promise a period of 7 to 20 years. More than a year in prison, gosadvokat. Rare letters children, wife and grandchildren. Complete isolation in Lefortovo prison. Camera for two. The second person in the chamber, as a rule – “a mother hen.” The inmates often change. They are advised to plead guilty. The investigator and gosadvokat promise that he would be released to freedom if he admits guilt. Another investigator and advocate playing the “good cop, bad cop.” Investigator at the request Soloshenko buys his bacon and fruit. From time to time, depending on how you behaved Yury of Moscow, the investigator threatened him great promises for a period or a suspended sentence and freedom. 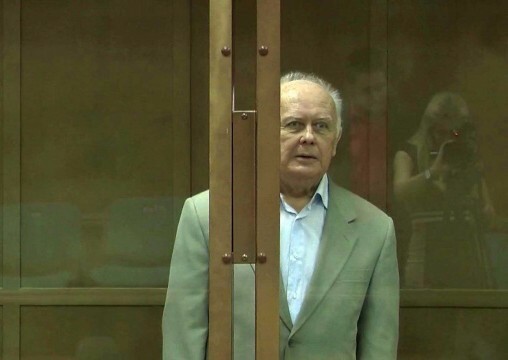 Come defenders: they advise Soloshenko send a telegram to Ukrainian consul, that he visited him in prison. Yury of Moscow does not know who to believe. Go days, weeks, months. Soloshenko complains of heart. Prison doctors say he is quite “sohranny” and can be held in custody. But then a miracle happens: in Ukraine arrested two Russian servicemen – GRU Aleksandrov and Erofeev. They ask for a meeting with the Russian consul. Ukrainian investigators allowed the consul to them. 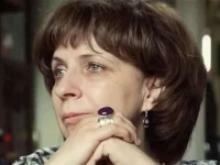 And then to Soloshenko in Moscow, in Lefortovo prison, allowed Ukrainian consul. And this is – is the hope for a possible exchange for the release, the extradition to Ukraine. But only after the verdict. Soloshenko says that closing a criminal case, the investigator of the FSB Mikryukov advised him to ask the consul to the Moscow City Court received a letter from Ukraine: Soloshenko, they say, are ready to be exchanged for Russian prisoners of war. Sons have long taken care of. This letter is probably already in the Moscow City Court. During the investigation, Yuri Soloshenko has written more than 40 petitions and applications. He wrote an opening speech for the court. He has written the last word, which is read out before the judge retired to the deliberation room to sentencing. He asked sons to send him train costume to look decent on the court. I do not disappoint Soloshenko. I also hope that the Moscow City Court and the judge Rasnovsky specializing in espionage and treason, will not be hard on 73-year-old Yuri Danilovich with his heart disease – coronary artery disease and tachycardia. I very much hope that the judge will send Rasnovsky Soloshenko home. Criminal case consists of four volumes. Process should end very quickly. But I very much fear that if the sentence would be an indictment, and the judge will sentence Rasnovsky Yuri Danilovich to the actual prison term, his heart will not stand. And it will be a death sentence.